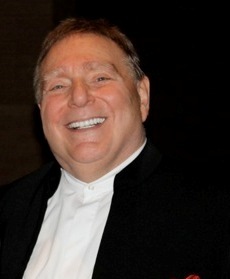 Maestro Gerhardt Zimmermann begins his 38th season as Music Director of the Canton Symphony Orchestra. Zimmermann’s energetic and vibrant performances have drawn invitations to appear on the podium with the Cleveland, Chicago, National, Pittsburgh, Atlanta, New Jersey, Syracuse, Rochester and San Antonio Orchestras. Other guest appearances include the Warsaw Philharmonic, the Orchestre Symphonique de Paris, the Toronto Symphony, the Calgary Philharmonic, Tulsa Symphony, Louisiana Philharmonic Orchestra, Chicago’s Grant Park and the Colorado Philharmonic. As comfortable with opera as on the concert stage, the Maestro has conducted staged works of Mozart, Verdi, Strauss Jr., Puccini and Gershwin. Since 2006, Zimmermann has been Director of Orchestral Activities at The University of Texas, Austin. Zimmermann served as the Music Director and Conductor of the North Carolina Symphony for 20 seasons from 1982-2002, and Conductor Laureate from 2002-2007. And for 21 years, from 1993 to 2014, he was Music Director and Principal Conductor of the Breckenridge (CO) Music Festival. Born in Ohio, Mr. Zimmermann and his wife Sharon, have two children, Anna Marie and Peter Karl Irum, and six grandchildren.